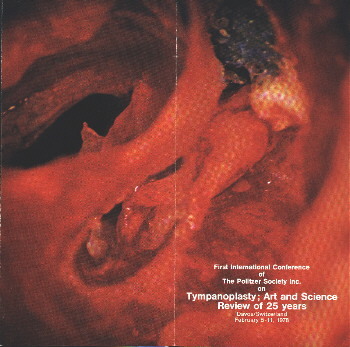 During the early seventies a number of otologists comprising David Austin, Heerman Diamant, Geza Jako, Claus Jansen, Jacob Sade, Stuart Strong, and Gordon Smyth had been collectively involved in a series of teaching programs devoted to the advancement of knowledge regarding the treatment of ear disease. Their experience had brought them to the conclusion that there was at that time and would increasingly in the future be a very real need to tackle the problems of management of these diseases, especially chronic otitis media, on a group basis. As a result, the "Politzer Society Inc." Has been established and was then fully incorporated with its own by-laws. Main goals were Initiative and support of international research studies on chronic middle disease. Cre ation and subvention of modern education in otology. Funding a Politzer Prize to encourage and support research of younger colleagues to be awarded to the author at the Politzer Conference. Initially Professor Stuart Strong had agreed to act, as President of the Politzer Society and David Austin and Gordon Smyth has been treasurer and secretary respectively. 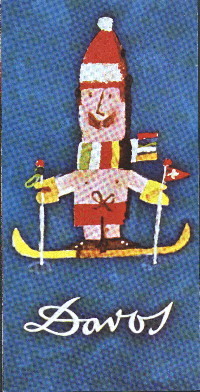 The first meeting of The Politzer Society was organised in Davos - Switzerland and Clause Janes was the secretary and chairman of the program.